I keep forgetting to photograph my special orders,so before this one goes out I thought I would post a quick picky! 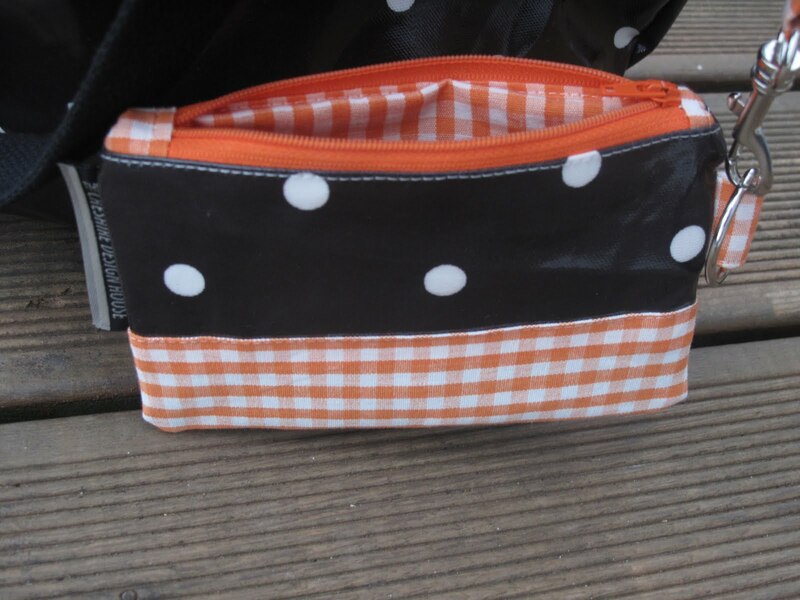 Here is the bag with the multi paisley lining and a nice orange check trim, I have started to do add on bits and bobs which have gone down well like purses and make up bags. 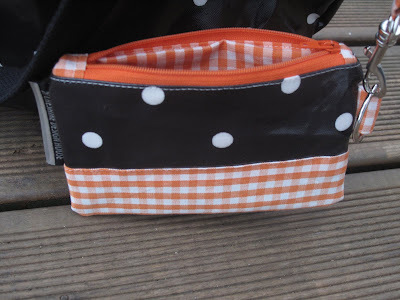 Here is a little coin purse to match. This one is lovely. Very classy. 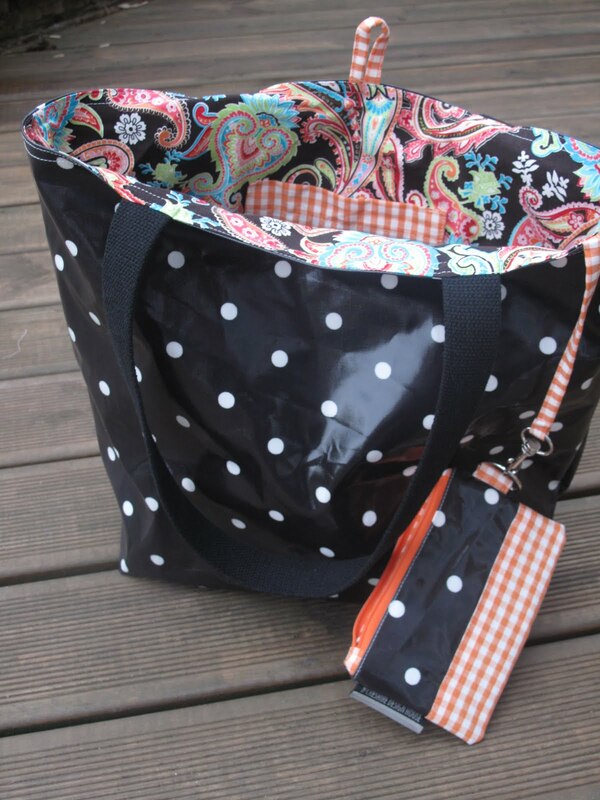 Is your project in July issue of Sew Hip? have you got a copy? I've not seen it yet but am dying to see it.